So far I will have to say give me the hangover anyday! We tried pea‘s… thinking well if we start with the grossest thing maybe he will like them so much that he will want to eat them all the time. Not the case. Then we tried a butternut squash and he LOVES it. I have yet to see a squash diaper yet. But help me God if I see another pea filled diaper (and I’m not talking just a wet diaper) I might curl over and die in front of the changing table (atleast that would provide a soft landing for the chipmunk when he rolls off of it). We have started growing vegetables in our garden and will use that to make the baby food so we aren’t out buying food all the time. We are all about raising this kid on the cheap if you can’t tell. 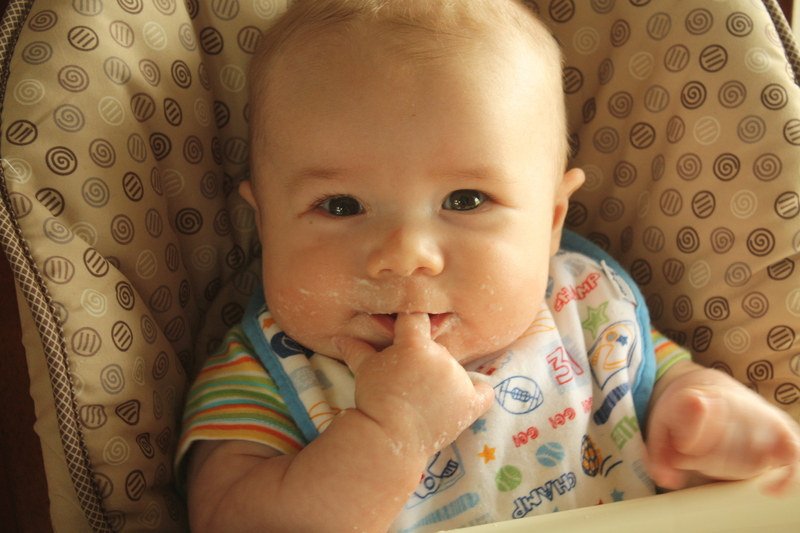 So what I am wondering is if there is anyone else out there that makes their own baby food. What kind of maker do they use? How do they make it? Maternity Clothes, Where Art Thou? P.S. My child never ate store bought food and I resold the trays on eBay when she was old enough to not need mushed up foods.